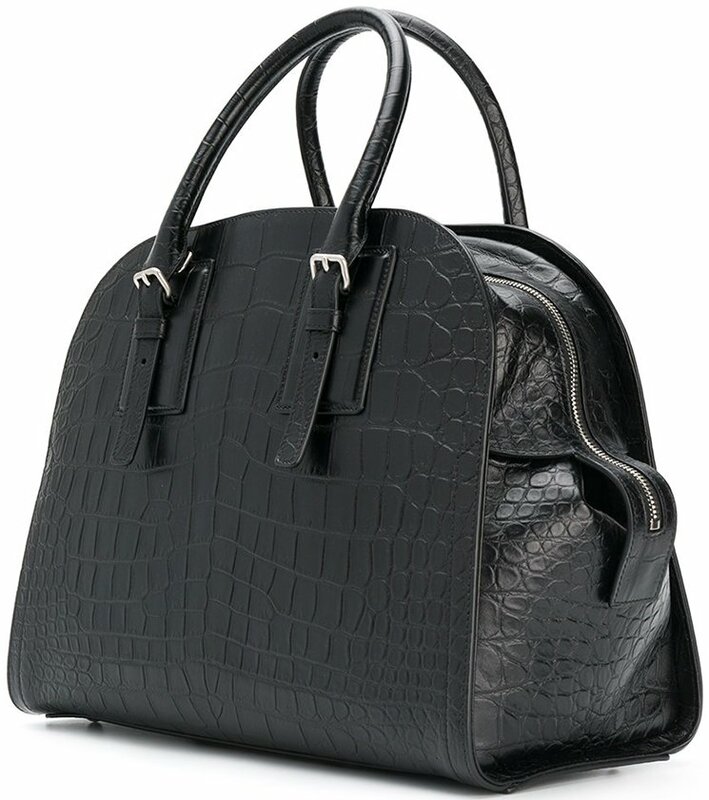 Hello Saint Laurent Grenelle Bag. Or should we say; the Hermes Bolide Bag? Well, we’re not saying that it’s a copy of the Bolide. But the shapes of these two bags do look quite similar, doesn’t it? The name Grenelle comes from a neighborhood in the southwestern Paris in France. This neighborhood is a part of the 15th arrondissement of the city. We do think that the Grenelle Bag is another stunning handbag. It looks classic and can be carried in all occasions. So it’s a great investment. The Grenelle Bag is crafted with a trapezoid shape with round and curvy finishing. The shape is gorgeous and feminine, it’s never boring. The most stylish way to carry this bag through its handle by hand. It’s also possible to carry on the shoulder or cross body via the long leather strap. What’s really useful about the Grenelle Bag is the generous interior. There is a lot of space inside, thus making it ideal as workbag or a daily bag. The center top is printed the house’s logo in small lettering that reads: ‘Saint Laurent Paris’. 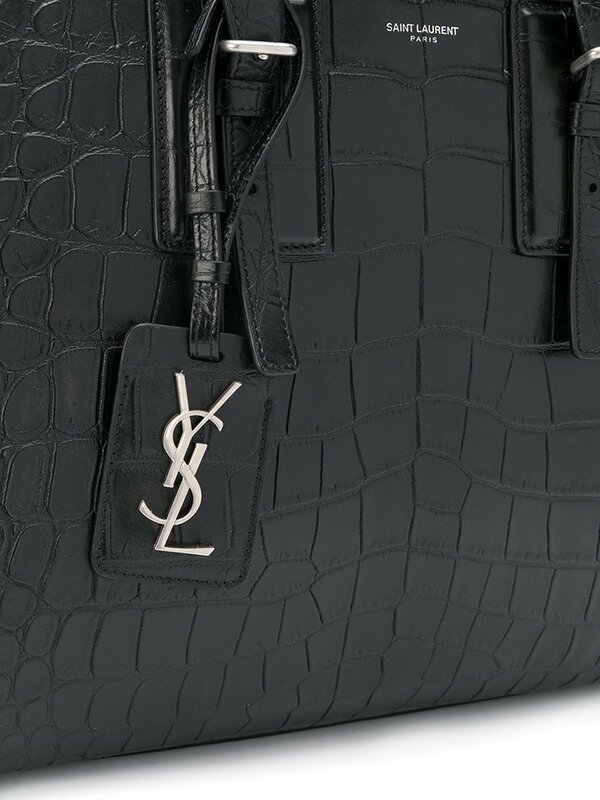 However, it also comes with a luggage tag featuring the house’s signature YSL logo. What’s more? It’s available in different leathers including the ultra-chic croc embossed. And for the most timeless look, it’s also exclusively made in solid colors like the classic black. So what do you think? The bag is quite large, so the interior is spacious. Inside you will find the main compartment including a zip pocket. The size is large enough to store basic essentials, but also a laptop or documents for work. The Grenelle Bag is definitely made for the busy woman. 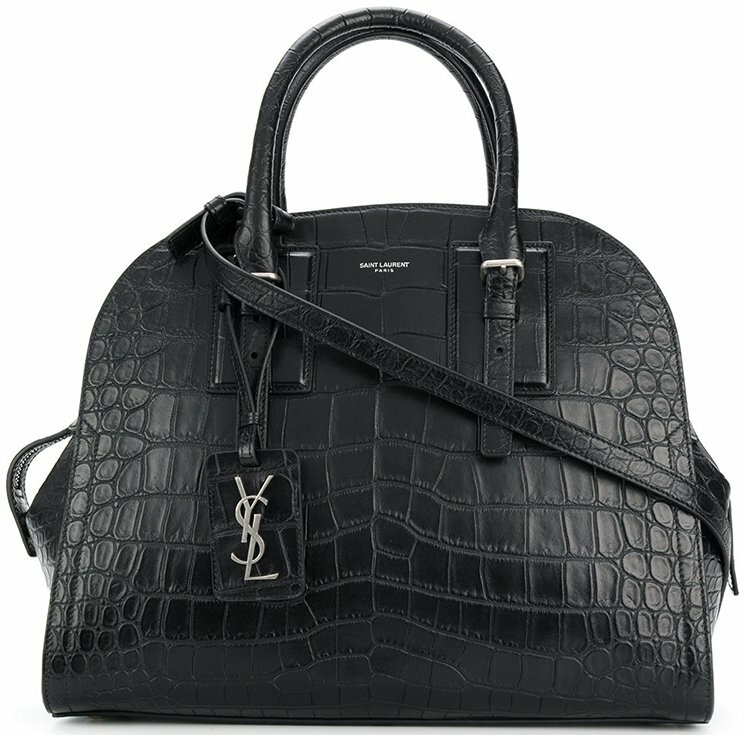 Where To Shop The Saint Laurent Grenelle Bag?